Dealing with an injury can be difficult and overwhelming. Whether you were injured from a car wreck, injured while doing your job or injured after falling on someone else's property due to their negligence, you need expert guidance for your injury case. Medical providers do their best to fix the body, but often through a loss of a job or income, your financial health suffers as well. Food, housing and medical bills quickly pile up as you struggle to pay for them. Without proper compensation, you can begin to feel like you are on a sinking ship. Now is the time to fight. Since 2003, I have dedicated my career to helping those who have been injured. I know the tactics many insurance companies and corporations use to avoid paying you what you are entitled to under the law. With our guidance, you can be confident your injury case will be taken care of properly. 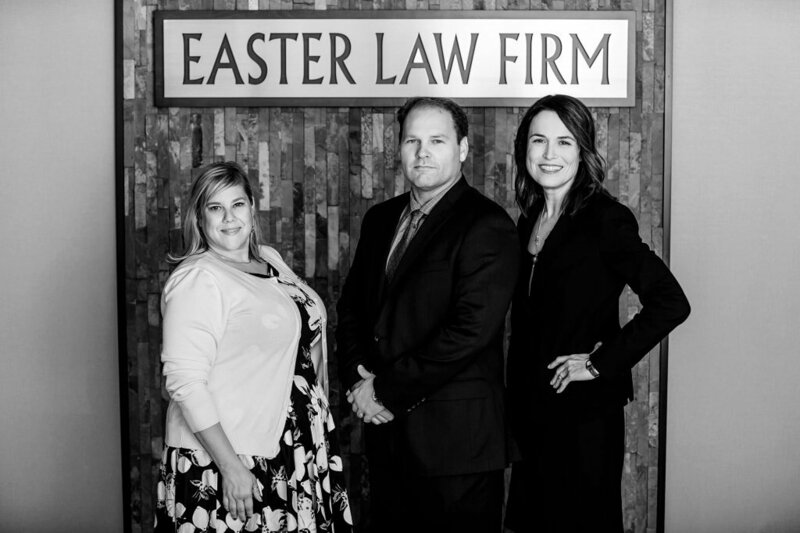 At Easter Law Firm, we fight to recover your compensation so you can focus on getting back to your life and your family. What are my rights under the Workers’ Compensation Law? What should I expect in a Litigation case? What do I bring to the free consultation? How do I preserve my case? Very professional! Joe did an excellent job of research on our defendant and made an outstanding presentation. From then on he negotiated a settlement, which exceeded our expectations. Thank you, Joe! Joe is easy to deal with and is straight forward. He was very helpful and was always available if I had any question. If I ever need an attorney again, I will definitely be calling Easter Law Firm. Five Stars. Joe Easter got me my money quickly and efficiently! I would definitely recommend him.